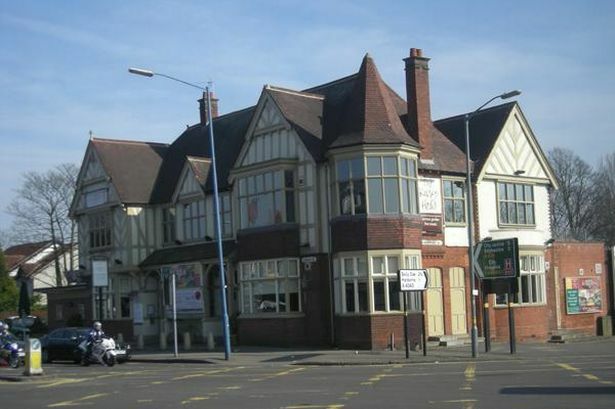 Chris Upton looks into the history of a former coaching inn in Hagley Road. Travelling has always been thirsty work, especially if the journey is long and dusty. Ample justification, then, for the coaching inns that once serviced the long-distance stage-coach trade, offering refreshment and entertainment for the wearied passenger, not to mention the even wearier horses. Inns proliferated on the main roads of England as far back as Roman times. Some offered the full service of bed, breakfast and a change of horses; others provided a more modest opportunity to freshen up. Even today, when travel is generally quicker, the roadside pub still caters for those needs. Take the King’s Head in Hagley Road, for example. Perfectly positioned between Birmingham, Harborne and Smethwick, it’s a pub which for generations has offered food, drink and more for the traveller heading inwards into town, or out into Worcestershire. Not to mention those going for a walk in Warley Woods. The history of this venerable hostelry has never really been told. So, earlier this year, I was asked to dig out a little of its hidden story. The results can be seen in a new mural – designed by Jane Anderson at her studio in the Custard Factory – and newly-installed on the pub terrace. The building which stands in Hagley Road today is so clearly Tudorbethan that it’s easy to imagine that this is when it was first erected – early into the 20th century – when the Victorian and Edwardian pub architects went for big and black and white. This particular example was built for the Holt Brewery Co. in 1905. But this part of the Hagley Road had long before been part of the Birmingham – Halesowen turnpike, with a need for hostelries way back into the 18th century. In the days when William Hutton described the route as “chequered with good and evil, chiefly the latter”, there was serious need for a pit-stop en route. As far as I can tell, land was first leased from the Calthorpe Estate and an inn built around 1790, serving the drovers and carters and coaches as they headed into and out of Birmingham. There was a toll-gate on the turnpike close by, so I imagine it was also a place to get some change to pay the man on the gate. That obstruction to free travel was only removed in 1851. However, as Birmingham relentlessly expanded outwards over the course of the Victorian era, what had once been a long-distance port-of-call became a suburban transport hub instead. The importance of the King’s Head in that regard is demonstrated by the presence of one of the prized “Chamberlain clocks”, installed outside in 1900. With its gas-lit dials and horse trough, the clock helped to service and monitor first the trams, and then the buses, plying the routes through Bearwood and Harborne. When the King’s Head became a major stop-off point on the Outer Circle bus route in the 1920s, such a clock was much in demand. The timepiece was later to be found, serving a less useful purpose, in Birmingham High Street, whither it was moved in 1971, to allow for road widening. By then, of course, the King’s Head was no longer a distant outpost, but the centre of a suburb, and had adapted to more local demands. There was a bowling green at the back, as well as a snooker hall, and – by the 1960s –a popular music venue in the cellar. The Morgue, as it was gothicly called, complete with skeletons and black painted walls, hosted many of the great Brummie bands of the time, most notably the Moody Blues, Spencer Davis Group, and the Uglys, whose line-up included Steve Gibbons. There have been plenty more changes since then. The King’s Head was entirely refurbished in 1985, again in the 1990s, and once more quite recently. The last re-fit, which has been recently completed, was the perfect opportunity to look back into the past as well as into the future. But what of the landlords who ran the establishment? The earliest I can find is one William Gray, who was the “victualler” back in 1818. The most interesting – and surely the longest serving – was Albert (Bert) Tudor, who looked after the pub from 1921 to 1945. Bert was the classic pub landlord – jovial, larger-than-life, and a little rotund. Bert’s descendants – grand-daughter (Sheila Drinkwater) and great-grand-daughter (Karen Marston) – still live in Birmingham and have researched his background. Bert took over the King’s Head in 1921 and remained in charge for the next 24 years, before moving on to the White Horse in nearby Harborne. It was here that Bert Tudor died in 1946. “Before the war,” adds Karen, “Ansells ran a famous advertising campaign, using the well-known painting by George Belcher, called “I Dreamt I Dwelt in Marble Halls”. The picture shows a portly man, earnestly preparing to play the sentimental Victorian aria of that name, the sheet music sticking out of his trumpet. No doubt what appealed to Ansells was the bottle of beer on the table in front of him. Bert’s pub, as well as his memory, is in good hands.